Here's a little something my girl and I put together for her soccer mates a little while back. I was the assistant coach and we wiped this up to give as gifts after the last game. I can't claim the idea as my own, I just made it my own way. The team mom on my son's team made these for the boys and I copied the idea. Plus, it's all over the web and Pinterest. Just search "washer jewelry" or something similar to that. You don't get a view of this, since I'm not keen on showing names. But I took my handy metal stamping kit and stamped the girls' names on the back of the washers. You don't get much of a view of the steps of this project because I didn't take photos as I was actually doing this. But I'll give you the quick run down on what I did. I bought some 1 1/4 inch washers at Home Depot. I needed 6 and there were 6 in the pack. No room for error here. 1) Stamp the names on the back of the washer. If I messed up, I just flipped it over and tried again. 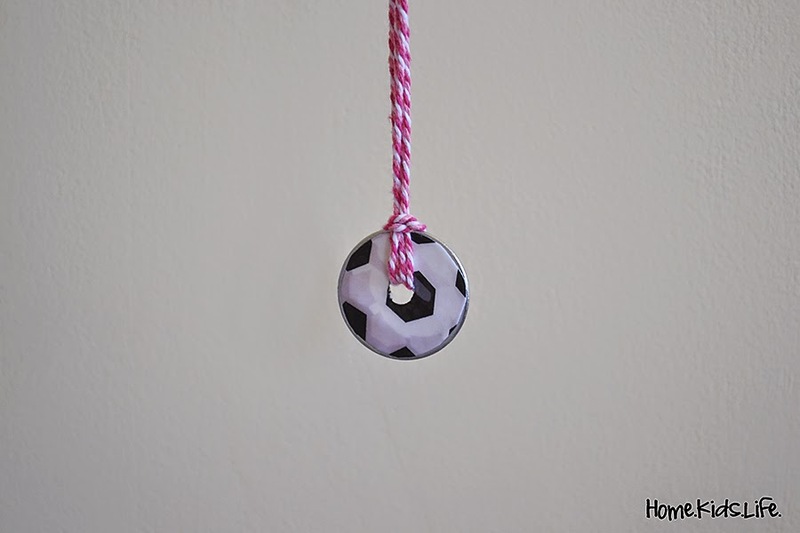 2) Print out soccer ball on cardstock. I found a soccer ball in my clipart on Microsoft Word. I sized it to 1 1/4 and printed it out on paper to try. It fit. I then printed out 8 soccer balls on white card stock. I cut out 6 and left 2, just in case. 3) Trace the washer hole on the cardstock soccer ball. I placed the washer on my soccer ball and traced where the hole is. 4) Punch out hole. I used a hole punch to punch out where I traced the hole. 5) Glue soccer ball on washer. I used regular white school glue. 6) Cover with a sealant. I didn't have Modge Podge. I used clear fingernail polish. I made sure it covered the edges. 7) String up. 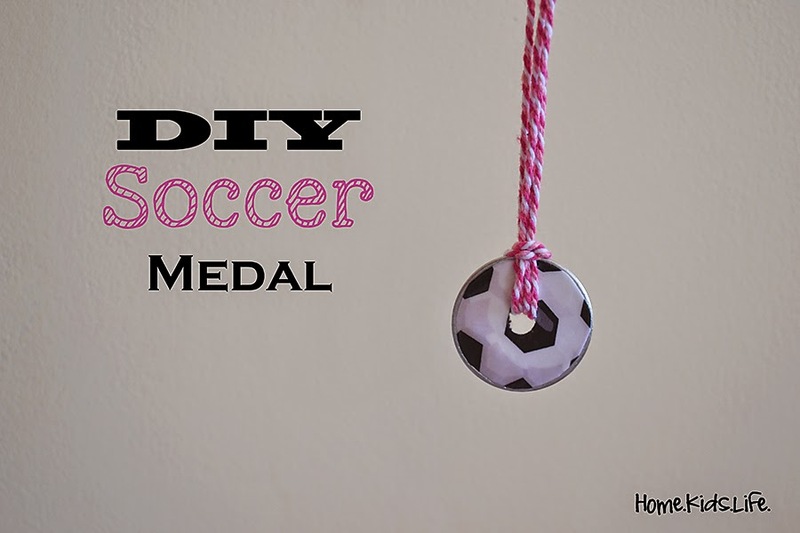 I had some pink craft sting laying around and used that to hang the medal on. Fortunately my daughter was on the pink team! Score! Here's my girl in her "soccer portraits" that I took after the season was over. She has her medal on. Have you tried washer jewelry?